Pro-tech's Termite's and Pest Control. I started in this industry in the year 1983, for a major corporation, I worked as route tech for years, was promoted to sales then service manager, I did not like the way corporate America treated it's employee's or customers so I became state certified by the state of Florida and established Pro-Tech's Termite's and Pest Control. In January 1995, with the hopes of becoming a good and reliable pest control company. We've achieved our goals and are now proudly serving many repeat customers. Our customers expect quality work and friendly service. We try to deliver on these expectations every time. We believe it so much That your satisfaction is guaranteed. Licensed and Insured. Painted Lady butterflies (Vanessa Cardui) that migrate from Africa to England must travel over 3,000 miles to accomplish their task. 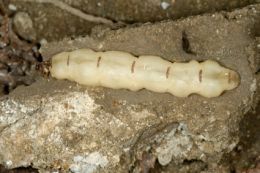 The total weight of termites in the world is more than the total weight of humans in the world. 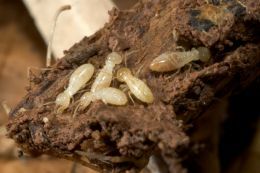 Termites do more than 2.5 to 3 billion dollars of damage to structures per year. Honey Bees visit about 2 million flowers to make one pound of Honey. About 8 pounds of honey is eaten by bees to produce 1 pound of Beeswax. Bees fly an average of 13-15 mph. There are about 34,000 species of spiders. A house fly's feet are 10 million times more sensitive than a humans tongue. A cockroach can change direction up to 25 times in a second. Cockroaches can live up to nine days without its head. The heaviest insect in the world is the Goliath beetle from Africa, a big male can weigh up to 100 grams. Scientists estimate that 10% of the animal biomass of the world is composed of ants, and another 10% of termites.